Greetings from WNY STEM Hub, the first Chief Science Officer initiative in New York State. We are excited about blazing a new trail for students to be a voice for STEM learning and student interests in their schools. By introduction, WNY STEM HUB, is Western New York’s leading convener of science, technology, engineering and math (STEM) initiatives with more than 250 organizations engaged in Erie, Niagara, Chautauqua, Cattaraugus and Allegany counties. 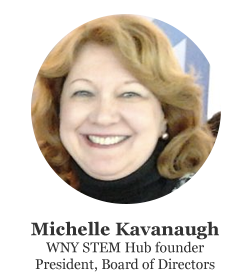 WNY STEM Hub is affiliated with the National STEM Funders Network, the national STEMx network, the Empire State STEM Learning Network, and is a regional partner with Code.org. We are one of 10 STEM Hubs in New York State. We offer some pretty cool programs here. Our Hand in Hand program in 2017 designed prosthetic hands for children in need. 3D print technology created the final devices. The Girls Coding Project introduces girls from Buffalo’s high-need urban core to computer coding basics. Our WNY STEM Café programs invites middle and high school students to explore career pathways in informal conversations with working professionals in STEM fields. Our mission is to create awareness and partnerships that serve learners of all ages in accessing STEM/STEAM learning and careers to advance our region’s economy. 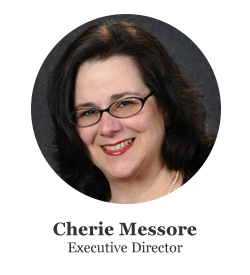 Learn more about us at www.wnystem.org. Our CSO program will begin in September with public schools in Buffalo and Niagara Falls and charter schools in Buffalo and Lackawanna.